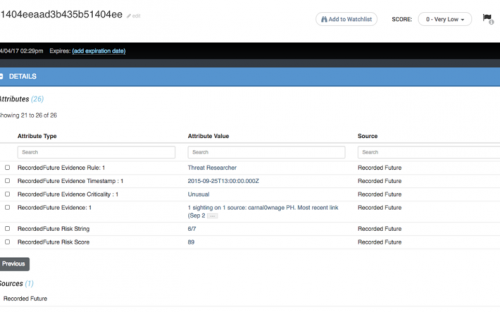 We have made significant changes to ThreatQ’s Recorded Future Custom Connector to support Recorded Future’s new API changes and additional risk lists. 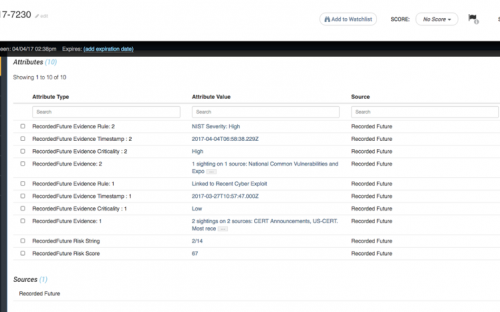 By pulling in additional data from the new risk lists, the ThreatQ threat library becomes more robust and allows for greater context and prioritization. In addition to the previously supported High Risk IP list, we’ve now added support for all of the remaining Recorded Future Risk Lists including Domain, Hash and Vulnerability. Domain Risk List – Imports domains as FQDN indicators, along with risk scores and evidence as associated attributes. Hash Risk List – Imports hashes as their specified algorithm type (SHA-256, MD-5, etc. ), along with risk scores and evidence as associated attributes. Specify what risk lists you want to poll in comma-separated format. Valid values are hash, vulnerability, ip, and domain. To learn more about how ThreatQ and Recorded Future work together, read about Project Honey Maid. 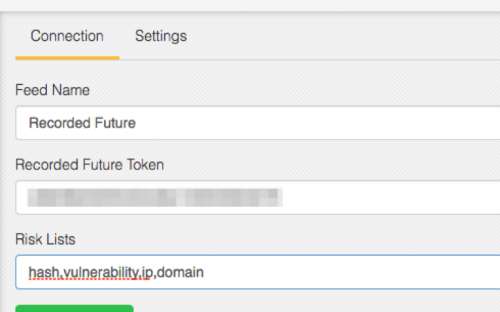 The post Recorded Future Custom Connector updates for ThreatQ appeared first on ThreatQuotient.